The Brightside Ground Bristol has been home to Gloucestershire County Cricket Club since the latter part of the 19th century. The Club was founded by Dr Henry Mills Grace – the father of Gloucestershire’s most famous cricketing son, W G Grace. 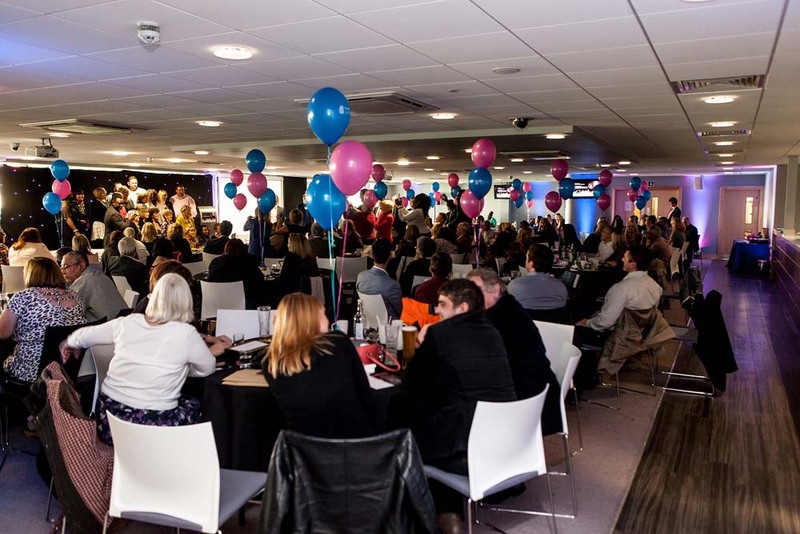 In addition to being an iconic British sporting venue, The Bristol Pavilion is one of the area's finest conference and events venues; with world class facilities and flexible suites offering stunning views of the ground. Our expert events team can cater for any occasion, weddings, meetings, conferences, you name it. Contact us now for more information on how we can assist with planning your special event. We are passionate about the dishes we create. We use fresh ingredients to create bespoke menus for our clients and all their events' requirements. Hospitality at the Brightside Ground Bristol offers a wonderful opportunity to enjoy the highest quality food and corporate entertainment throughout the year, and, at the height of the summer, guests can also enjoy live cricket in comfort and style. Our new £4m Bristol Pavilion opened to much acclaim in August 2013 and offers the very highest standard of accommodation for hospitality in Bristol. The UK division is based in North Staffordshire where they have resided for 40 years. Centerplate drives innovation and is leading the market within the hospitality industry. They specialise in delivering world class events at premier venues with a focus on the guest experience. In conjunction with Gloucestershire County Cricket Club, Centerplate; the BRISTOL pavilion's caterers, have been deeply involved in engaging the local community. Our 'Howzat for Healthy' project, launched at the end of 2013, aimed to promote the importance of home-grown produce, seasonal dishes and a balanced diet to primary school children, and demonstrated how this would fit in with the active lifestyle of a professional cricketer. For the scheme, our Head Chef Damian Awford-Nash gave cookery demonstrations to 125 pupils from local schools in four days. The children were taught how to make healthy, homemade pizzas and had a bit of fun with the toppings, decorating their pizzas as faces and cats. Centerplate also designed a fun, interactive cookbook for all children to take away with them, featuring activities, quizzes and many recipes utilising the produce the children had grown in their school, so they could try what they had learnt at home! Bristol Temple Meads train station (City Centre) is approximately 2 miles from the County Ground; taxi fare approximately £9.00. Bristol Parkway station is approximately 3 miles from the County Ground & located north of the city. From the City Centre, services 73, 75, 76 and 77 will take you along the Gloucester Road and bring you within 100 yards of the County Ground. From Bristol Temple Meads railway station, Nos. 8 or 9 will take you to the bus station and then catch one of the above from the Central Bus Station, the No 70 runs to Ashely Down Road, to the rear of the cricket ground or No 71 takes you directly from Bristol Temple Meads to Gloucester Road. Exit M32 at Junction 2 (Fishponds and Horfield). Take the exit off the roundabout - Muller Road - AA signposted ‘County Cricket Ground’. If coming from the north (M4) this is the 3rd exit, if coming from the City Centre this is the 1st exit. After approximately 1 mile turn left into Ralph Road. At the end turn left and then first right into Kennington Avenue. At the T junction turn left into Nevil Road and the Grace Gates are in front of you. Note : Some Sat. Nav systems show Lancashire Avenue for postcode BS7 9EJ. This road borders the County Ground, off Nevil Road where the entrance is located. ©2015 The Bristol Pavilion. All rights reserved.